The CRYO Penguin provides the ultimate facial for reducing the signs of ageing, acne and inflammation. This facial is a non-invasive, pain-free treatment that uses vaporized liquid nitrogen. Localized treatment to the face and neck to penetrate deep into the layers of the skin to increase circulation, refine texture and reduce inflammation. The CRYO Penguin is state-of-the-art technology which treats tissue damage in the body. Inducing cell rejuvenation, the CRYO Penguin uses sub-zero nitrogen-cooled air to stimulate physical and mental health benefits. Localized treatment plays an important role in acute or chronic pain, pain due to injury or surgery by reducing pain and swelling to promote healing. An alternative method for pain management, small targeted areas include the head, neck, bicep/tricep, elbow, wrist, shoulder, hand, knee, calf, ankle and foot. 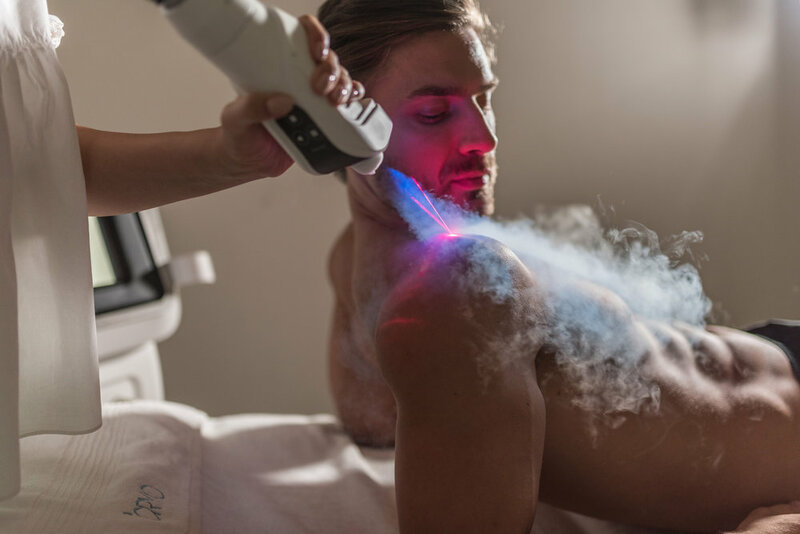 The CRYO Penguin provides beauty and local injury benefits using smart lasers to measure skin temperatures in real-time, providing a safe and enjoyable cryotherapy treatment. The CRYO Penguin focuses the power of cryo-therapy to where it is needed most. Whether you are experiencing chronic or acute pain and inflammation, suffering from arthritis pain, an injury or just everyday aches and pains, the CRYO Penguin is the answer! Medium targeted areas include the hip, thigh or lower back, while the large targeted area focuses on the whole back.